Major tectonic shifts have occurred around the historically secretive multinational corporate structure of Monsanto, forcing transparency, furthering the public debate, and assisting lawsuits that expose the true nature of Monsanto’s toxic product and its multi-level collusion to hide the fact of its carcinogenicity. Failing to question the mutation theory of cancer is the underlying scientific reason the War on Cancer is not being won. Cancer can no longer be viewed as something bad that happens to an intrinsically healthy body. Rather, cancer is something the body actively does in response to an intrinsically unhealthy cellular, bodily and planetary environment. A new study validates a controversial cancer theory, namely, that yeast in our body can contribute to not just feeding, but actually causing cancer. Can the ancient healing spice turmeric come to the rescue? A traditional food plant that has been used for thousands of years to improve health and well-being, is finally being validated by science. The results? It may be far superior to a chemotherapy agent with deadly side effects and dubious efficacy. 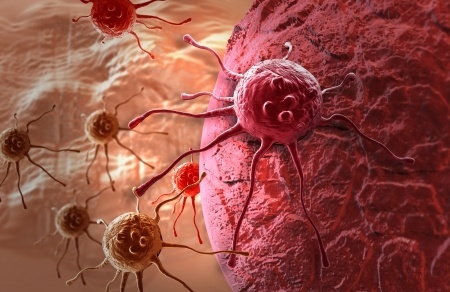 An Integrative Oncology Patient's Thoughts On "Cancer: Emperor of All Maladies"
As a 24-year cancer survivor I watched Cancer: Emperor of all Maladies with mixed emotions. From this patient's perspective, the film is all about the 'tumor' and treats the host, aka the patient, as almost an irrelevant, disconnected entity. In this important announcement, Peter C. Gøtzsche, the recently ousted co-founder of the Cochrane Collaboration, explains why his creating an Institute for Scientific Freedom -- something GreenMedInfo stands 100% behind. This year alone, nearly 600,000 Americans will lose their lives to cancer. Could a primary reason be as simple as what people are not eating regularly? Here is an excellent anticancer shopping list to use as a guideline. Written by Dr. B.J. Hardick, D.C. The tide is turning. When once it was unheard of for a doctor's opinion to be challenged, today's patients are getting second and third opinions, seeking out alternative care and pursuing natural, organic solutions to their health issues.